Norway has some of the most breathtaking cruising area’s in the world .Norway is a country of fjords, narrow elongated passages in the sea that were shaped by giant glacier tongues slicing the Norwegian landscape over millions of years. Some of the most popular tourist destinations are Geirangerfjord, Sognefjord, Hardangerfjord and Hjørundfjord. For expert information and advice about buying or selling boats and yachts in Norway contact one of our experienced advisers who will be happy to assist you. 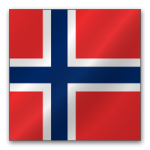 Below is the current list of boats for sale in Norway that are available to our network. 2007 Bayliner 305. Imported in 2010, this boat is in like new condition and has less than 100 hours.